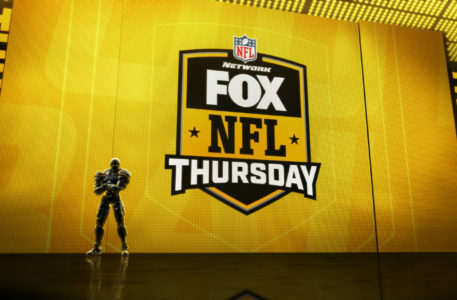 “Thursday Night Football” has settled into its new home on Fox Sports this NFL season, part of a rights deal that sees games split between NFL Network and select games streaming on Amazon Prime Video. 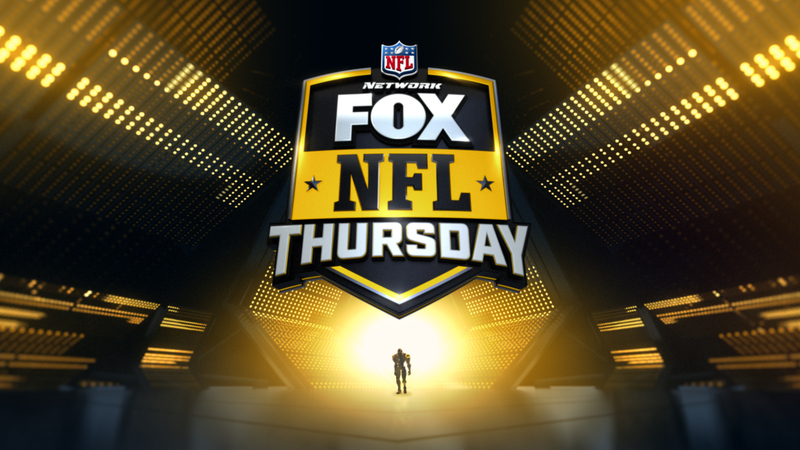 For the 2018-19 NFL season, Fox Sports rolled out updated insert and show graphics for its main “Fox NFL” franchise with “Thursday Night Football” also inheriting the look, albeit in a modified form. 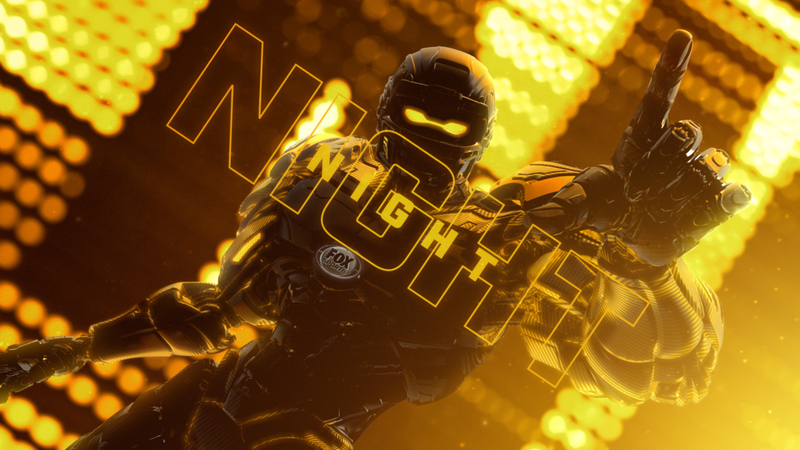 Created by the team at Fox Sports and | drive | studio, the design of “TNF” mixes sophisticated vibes with elements aimed at capturing New York City, where the pre-game show broadcasts from Fox New’s Studio F.
“The visual strategy empowers an abstract environmental space that resembles the ‘city lights’ of Times Square but remains graphic, flexible, and functional for the multitude of elements in the broadcast,’ notes Nick DiNapoli of | drive | studio. 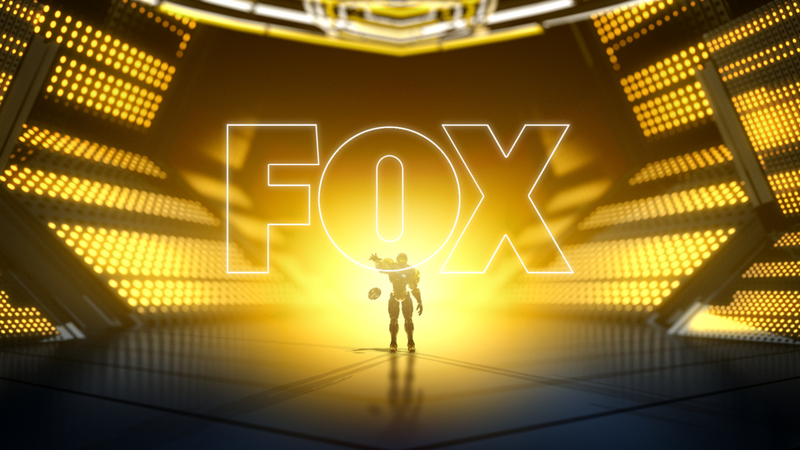 Cleatus, the mascot robot of “Fox NFL” who appears in many bumps and opens, has also been redressed for Thursdays with a more superstar persona while still maintaining his recognizable character. 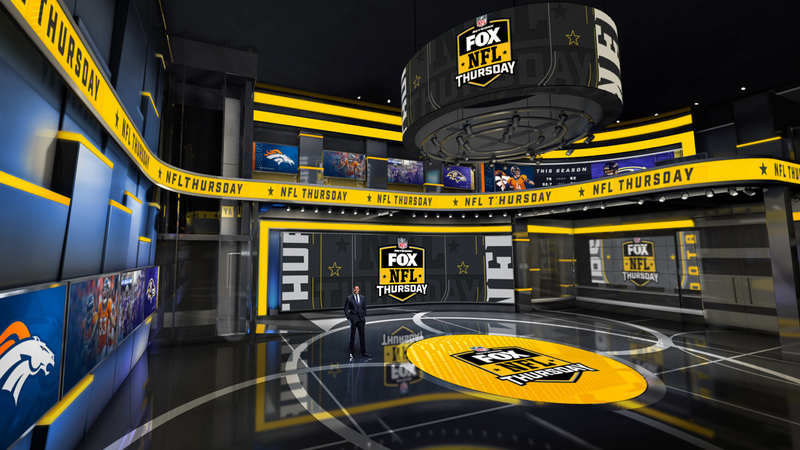 “Fox NFL Thursday” with Michael Strahan, Terry Bradshaw and Howie Long takes full advantage of Studio F’s unique LED video walls before tossing to game announcers Joe Buck and Troy Aikman. 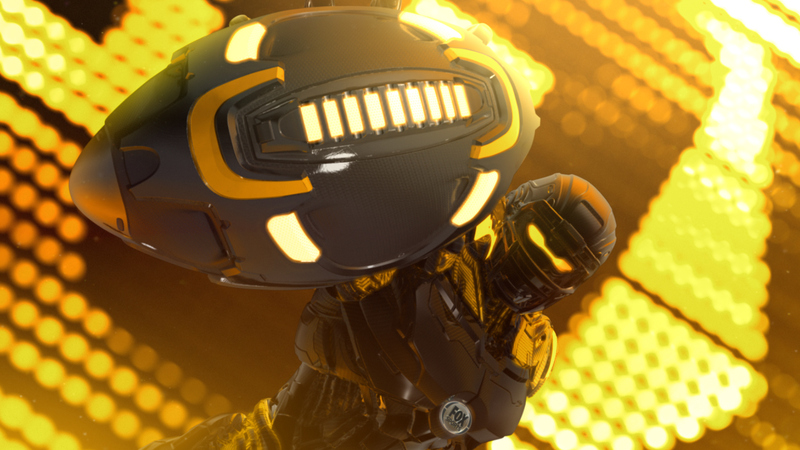 Inside the studio, a comprehensive monitor-graphics system expands the in-game look while providing opportunities for sponsor placement. A rendering showing the monitor graphics system from | drive | studio. Meanwhile, outside, a football fan zone and demonstration area has been erected to activate and brand the space. Near Times Square at NewsCorp’s New York City headquarters along the Avenue of the Americas (Sixth Avenue), the outdoor area allows fans to interact with the broadcast and for an impressive cityscape background on-air. 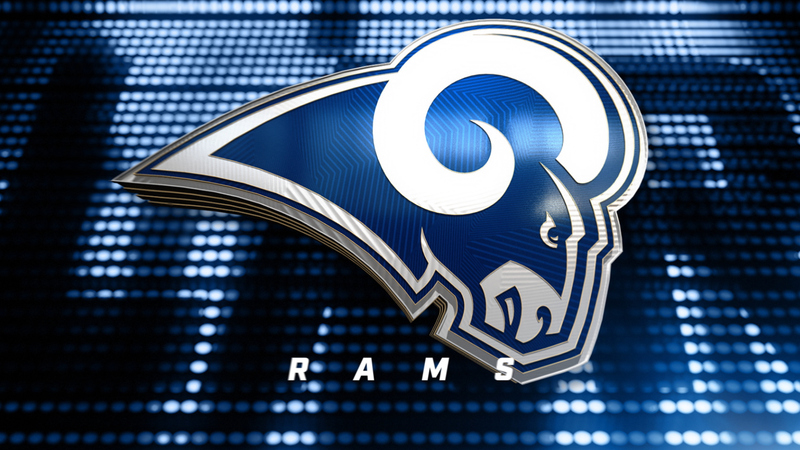 View more of the look at | drive | studio’s website and in our gallery.